I picked up this metal letter box from a craft store and then covered it with papers from the Winter Wonderland collection. My idea was to use it for holding and saving Christmas cards that my family received over the holiday season. 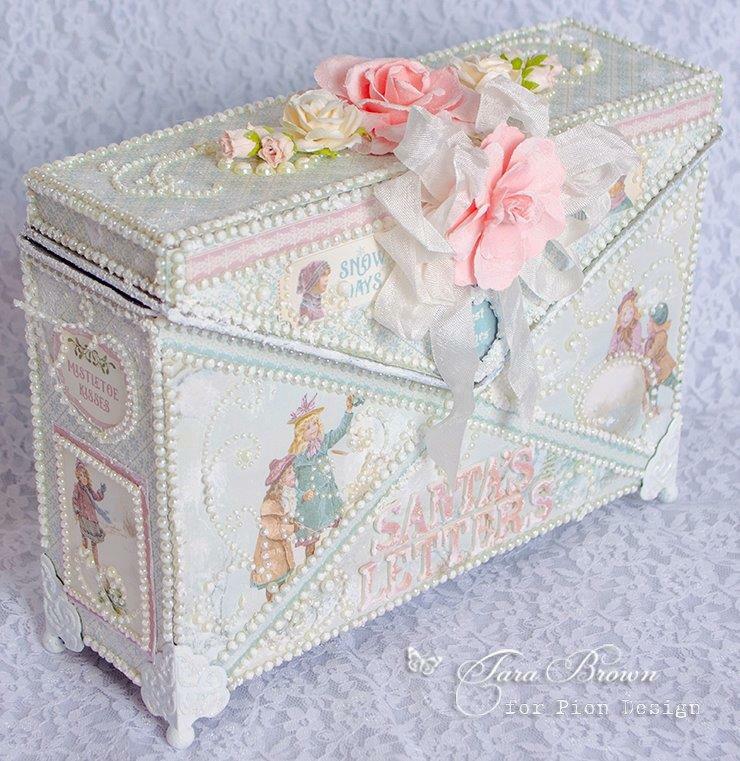 It can also be used as a gift box or a candy box. The children on the papers are just precious and give that vintage nostalgia that makes Pion Design papers masterpieces! WOUW WOUW WOUW and you do it again Tara. I´m truly amazed with all your fabulous ideas all the time and all the outstanding work, you do over and over again. 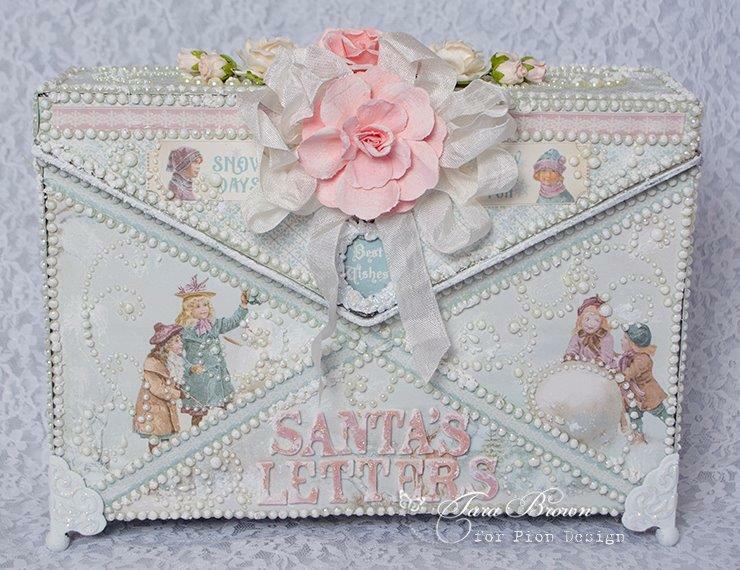 I absolutely LOVE this letterbox, sooooo beautiful andperfect made as everything from your hands. I´m drooling here over this beauty right now. can you tell me how i can access to buy yourproducts i love your carasoul and many other products, but i dont seem to be able to access from the united kingdom if this was easerly accessed for us i think your missing a good source of income i would gladly advertize your site.